Take up of SPL is building slowly but it is still low. If we are serious about unleashing the economic potential of women, then it’s not enough just to look at women as leaders. It also needs to be OK for men to be carers. Take up of SPL is therefore a key indicator. And one that enlightened employers have already understood is VITAL to their gender diversity aims. In Spring 2017 My Family Care conducted a qualitative research study aimed at understanding not only WHY take-up is still relatively low, but to HOW SPL is being used by fathers and partners, WHAT impact it has had on their lives and careers as well as WHAT needs to be done to improve take up. 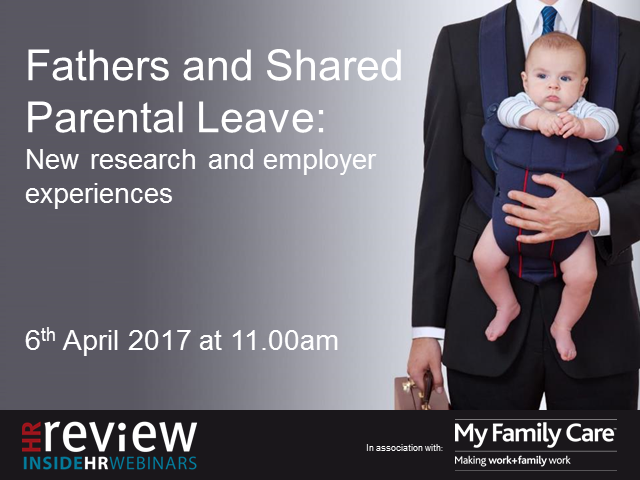 In this webinar we’ll be sharing our findings and inviting leading employer panellists to comment on the experiences within their organisations.